This is part of the series of posts that I am running under the title "Under Appreciated Features of SQL Server". The series has been inspired by Andy Warren’s editorial on SQLServerCentral.com. Today, I will attempt to approach describing the OUTPUT clause in a slightly different manner. We will simply forget about it for a moment. We will talk about something much more simple and well-known like the UPDATE. But, the UPDATE statement is not that simple – it’s actually two statements rolled into one – a DELETE and an INSERT are actually wrapped into a single statement. Upon running these scripts, you would notice that this is quite an reasonable method to maintain a custom log of critical transactions/queries. However, it might be possible that sometimes, you may not want to use triggers (because of personal choice, or because of the fact that triggers can be disabled); or this is a one-off debugging exercise or just an effort to learn the internals of SQL Server. In such cases, the recently introduced OUTPUT clause can be very useful. Drastically reduced & simplified code, and yet we get the same results. At the end of the day, it’s all about the benefits of a particular approach. So, do we have any improvement? We had the I/O and TIME statistics ON during the UPDATE statements. Let’s see what stories they tell us. Here’s the output from the conventional trigger-based approach. Table ‘MyTABLE’. Scan count 1, logical reads 1, physical reads 0, read-ahead reads 0, lob logical reads 0, lob physical reads 0, lob read-ahead reads 0. Table ‘MyAudit’. Scan count 0, logical reads 1, physical reads 0, read-ahead reads 0, lob logical reads 0, lob physical reads 0, lob read-ahead reads 0. CPU time = 0 ms, elapsed time = 120 ms.
CPU time = 0 ms, elapsed time = 131 ms.
CPU time = 10 ms, elapsed time = 15 ms.
CPU time = 0 ms, elapsed time = 58 ms. While there is no difference in the I/O (1 scan, 2 logical reads), the execution time has definitely improved with a total of (8+120+131) ms = 159ms with the trigger based approach v/s (15+58) ms = 75ms with the OUTPUT clause. Finally, the OUTPUT clause can be used with all 3 of the major T-SQL statements – UPDATE, INSERT and DELETE! Besides the above, be careful with the behaviour of @@ROWCOUNT. It will only return the number of rows affected by the outer INSERT statement. Now that you are powered with the knowledge of the OUTPUT clause, can you answer the following Question of the Day at SQLServerCentral? Do leave a note as to how you did, and what are your thoughts on the same. 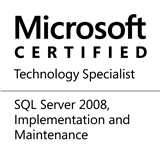 This entry was posted in #SQLServer, Blog, Imported from BeyondRelational and tagged #SQLServer on March 21, 2011 by nakulvachhrajani.